This entry was posted in Living Room and tagged 1930's bungalow, door casing trim, living room paint color, Old Home Renovation, old houses by curt. Bookmark the permalink. Hi Janet! Yep the paint was a real misstep – but I like to paint. Done before you? Nope – never happen – your place looks ‘fantastic’! I learned the hard way to buy sample paint and do a big ol’ sample swatch before I commit to a color. Ha, no it’s fine! I read the post and I see your points. I’m sure it’s like a doctor watching ER or something. Okay, not the greatest analogy, but you know what I mean. Thanks, Danielle! 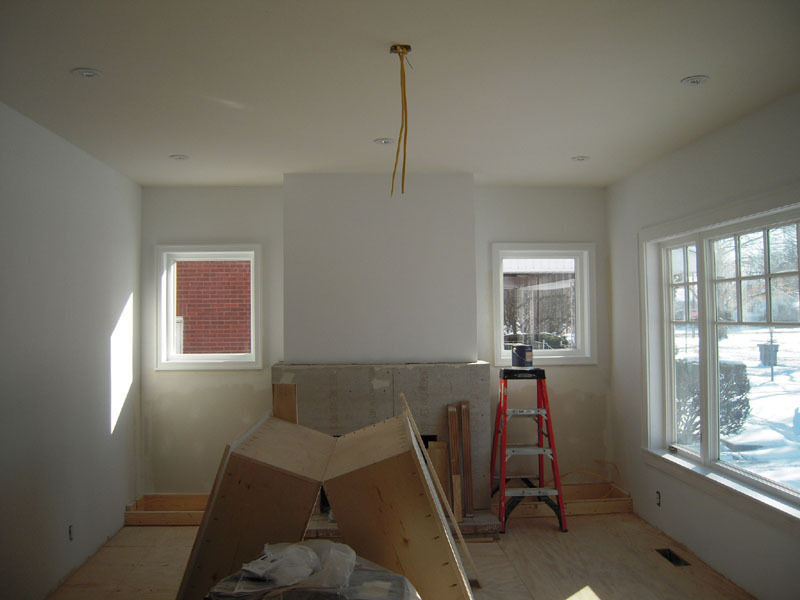 I love doing trim work, so this is what makes me happy 🙂 I’m big on layering lighting so I have light fixtures out the wazoo… As a matter of fact – I counted the first floor light fixtures yesterday – and there are 63! Not including under cabinet kitchen lights. You don’t have to tell me – I know I’m crazy. Thanks Amy! I know you like stained woodwork – but all my stuff is painted. 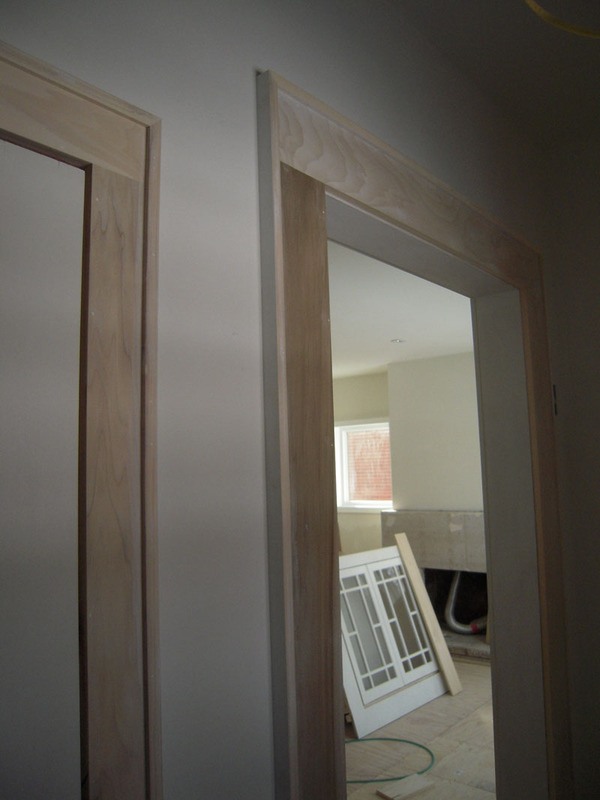 Wow, those door casings are beautiful! You do such great work. I like to paint, too, but it’s become a lot more difficult since getting bifocals! Getting old is hard work. Thanks, D’Arcy – I know what you mean about getting older. I’ve been out sick for three days and counting. I don’t bounce back like I used to. Like that Dove White, I am obsessed with getting the right shades of “off-white” at the moment because colour makes or breaks any space. Your project is really coming along, well done! Thanks so much! I agree – it’s the subtle shade that can make a space sing – or fall flat. 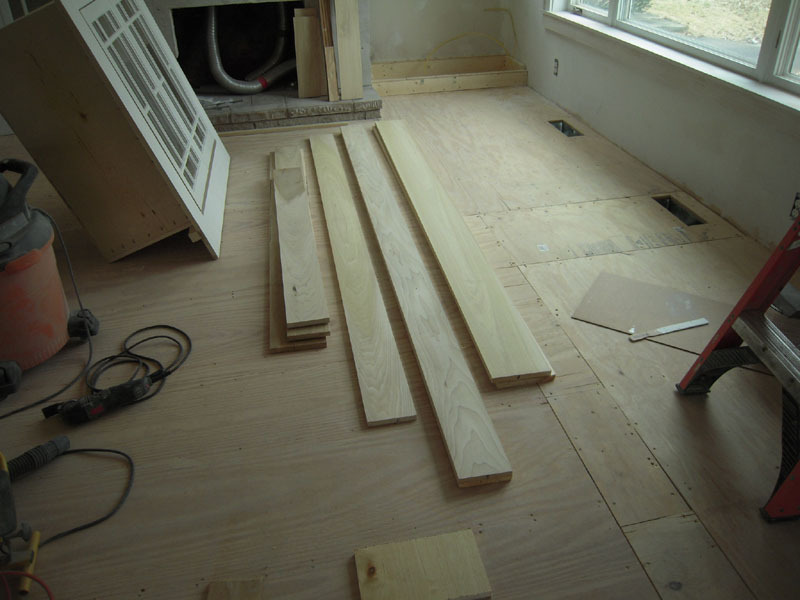 I know this post is a bit old, but I just found it when trying to figure out how to add casings to our windows and doors- our drywall sticks out further than the wood. I like how clear and simple your solution was and I really love the casing you used as well. Can you tell me the dimensions of the wood and the banding? 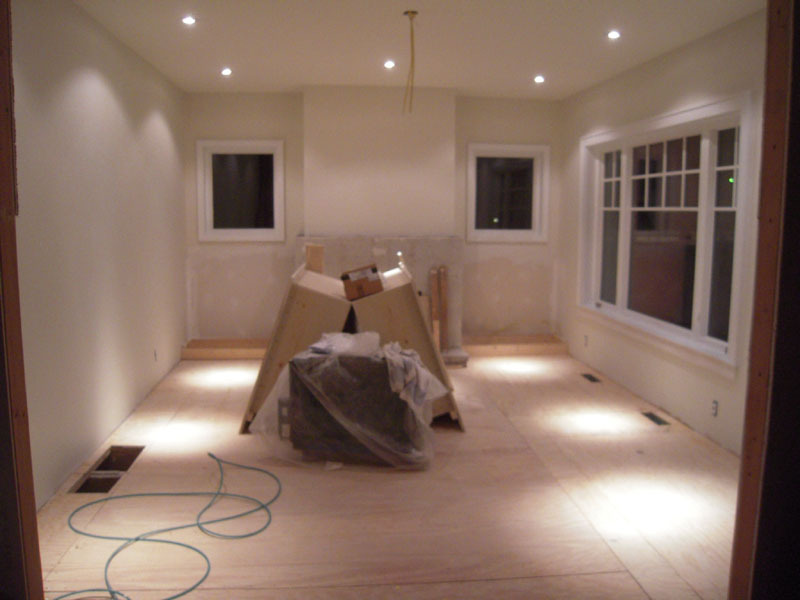 Hi Lora – no post is too old around here – this renovation never stops. 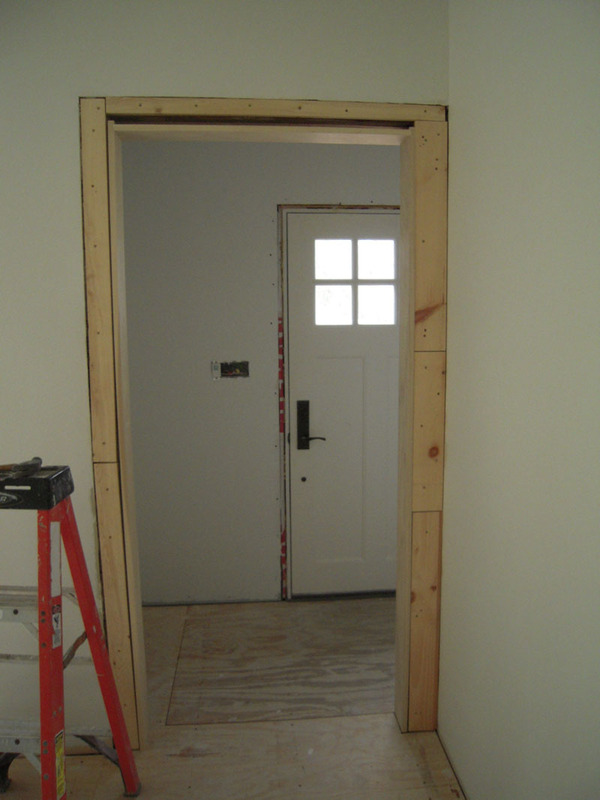 When you say the drywall sticks out past the wood – are you saying the interior of the opening has an existing jamb that’s too short? 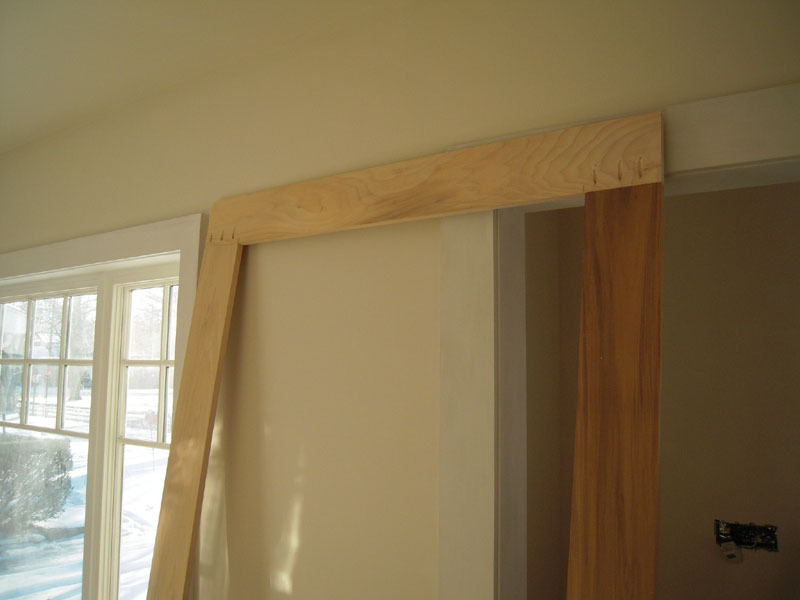 If so, you’ll need to build up that interior portion of the jamb to be slightly proud (thicker) than the drywall. There are a couple of ways of doing this. 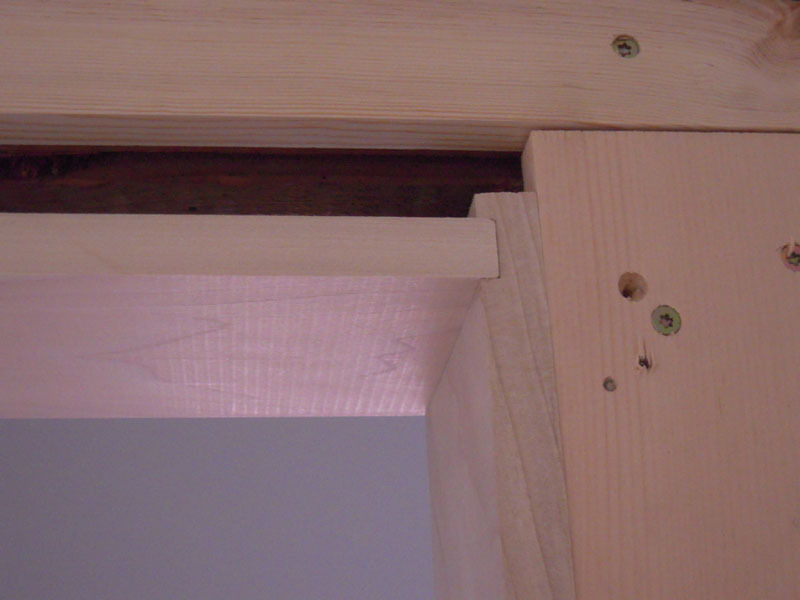 The easiest is to add a lattice strip to the edge of the jamb and then attach the casing. This will fill the gap between the jamb and casing trim. You can stagger this piece back a little to make it look like an intentional detail.There are other ways that involve milling the casing with a lip to cover the gap. 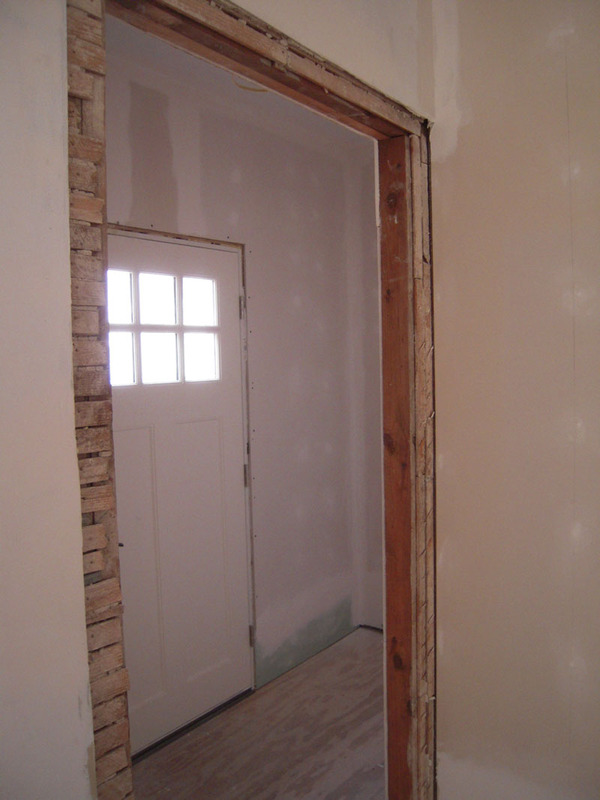 The door casing in these photos is a little wider than the window casing – 4 1/4″ wide X 3/4 stock. The windows are 3 1/4″. 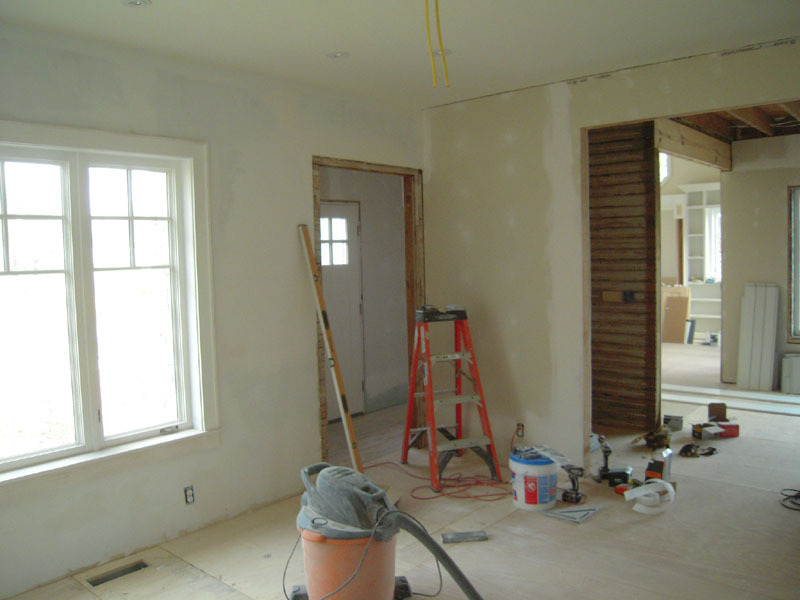 The back banding is made from the same 3/4″ stock width with the thickness (from drywall to top of band about 1 3/8″. I scribe the pieces to the wall, so there is no gaps between drywall and wood to be caulked, but most just use a little caulk for this joint.